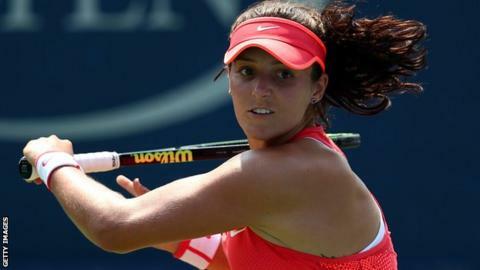 Former British number one Laura Robson's comeback from a wrist injury has stalled again. The 22-year-old has pulled out of what was set to be her first WTA Tour event of the season in Monterrey next week. Robson played in eight events last season after returning from a 17-month lay-off, but had to end her season early after suffering a relapse. Now ranked 553 in the world, Robson began her latest comeback in two low-key events last month. She chose not to use her protected ranking of 58 to gain direct entry into January's Australian Open and has targeted the French Open in May as a possible Grand Slam return. Robson is still hoping to play at the BNP Paribas Open in Indian Wells next month, one of the biggest tournaments on the WTA Tour.